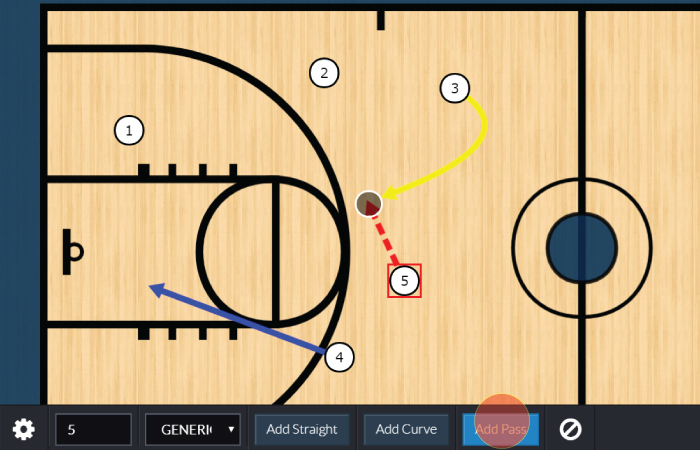 Drawing Basketball Plays with CoachYouth Basketball Playbook Designer Software. 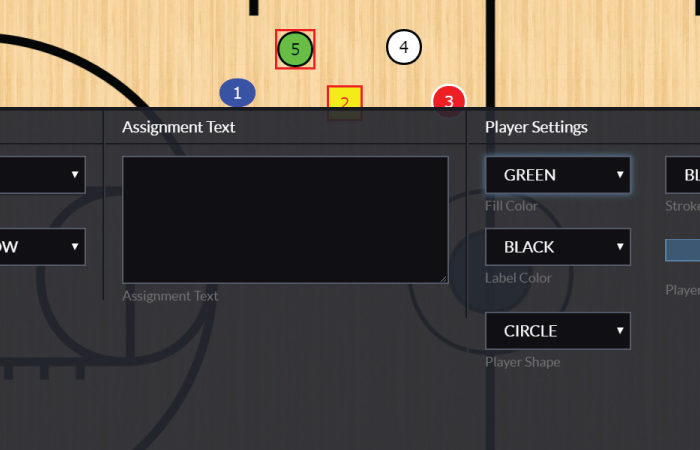 Our Powerful playbook design tools make it not only easy, but gives you complete control. Draw your players exactly where you need them. Postioning a player is simple, select the player and drag them around, even works with touch devices. Need precision alignment? We have built in alignment tools to help you get exact positioning. Not only can you drag your players with your mouse, you can move players with your keyboard arrow keys as well. 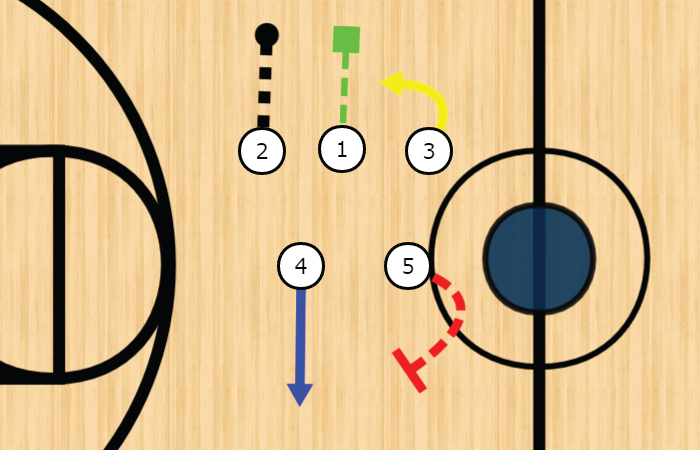 Adding Routes to your players is simple. 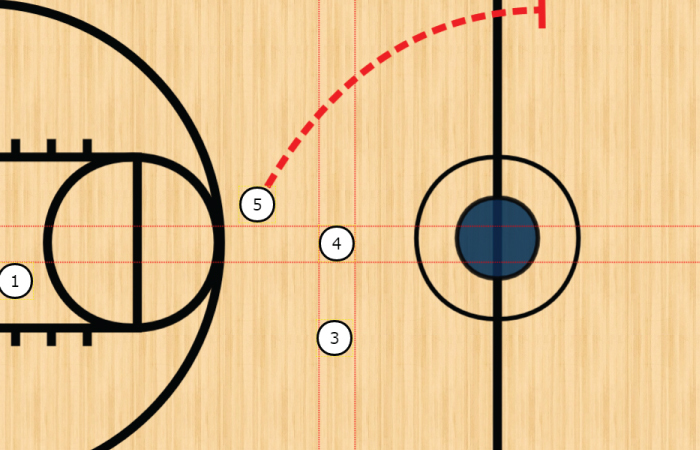 Adding routes (player movement) to your players is a simple ONE-click process. You can add straight lines or curved lines quickly and easily. Most other products out there either have very limited line drawing ability, such as no curved lines, or their route drawing tools require you to be a graphics designer to get it right. Not ours, if you can click and drag a mouse you can draw any kind of route you need. 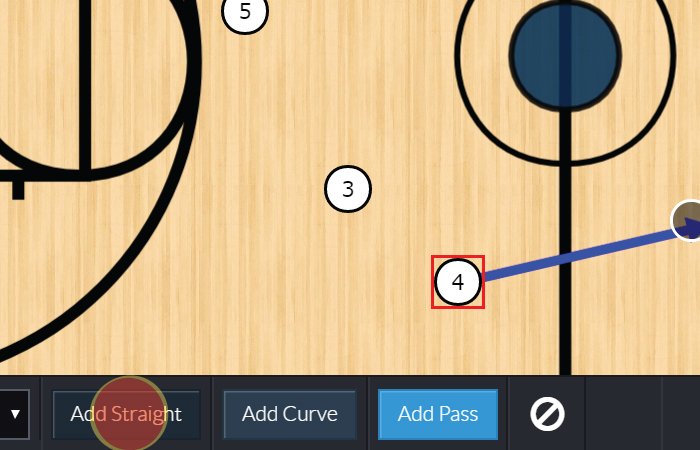 Draw a pass with one click. With a simple click of the mouse you can add a pass to any player. Like all route lines a pass can be customized in color, line style, thickness, etc..
Not only are routes easy to draw, they are just as easy to customize. The style of a route can also be changed, it can be solid, dashed or dotted. You can even make your route lines thicker or thinner, its all up to you and all very simple to use. Customize more than routes, customize your players too. Just as easy as it is to customize your route drawings, you can also customize your players. You can also change player shapes, you can use a circle, square, triangle or oval. Great for highlighting an important player on a specific play or simply matching to your team colors. That's right for FREE, as in no credit card required to get started. Did you know that CoachYouths Playbook Designer can help you create and draw football plays and playbooks?